When is Rainy Season in Mexico? So if you have been checking out the weather forecast in advance of your visit to Mexico, and see that all the dates of your visit have clouds and rain in the forecast, don't be dismayed! And don't think that your whole vacation is ruined. That forecast just means that it will probably rain at some point during that day somewhere in the destination, not that the whole day will be cloudy and rainy. Rainy season in Mexico can actually be quite pleasant, and it's not necessarily a bad time to visit at all. The rain usually only lasts a short while and then it makes way for the sun, and if the days are a bit overcast, that's not necessarily a bad thing - the sun can be so strong that a little bit of cloud cover can be most welcome. Another good thing about the rainy season is that the vegetation is lush and abundant, whereas other times of the year, the landscapes may be brown and sparse. Rainy season in central and southern Mexico lasts roughly from May or June through October or November. 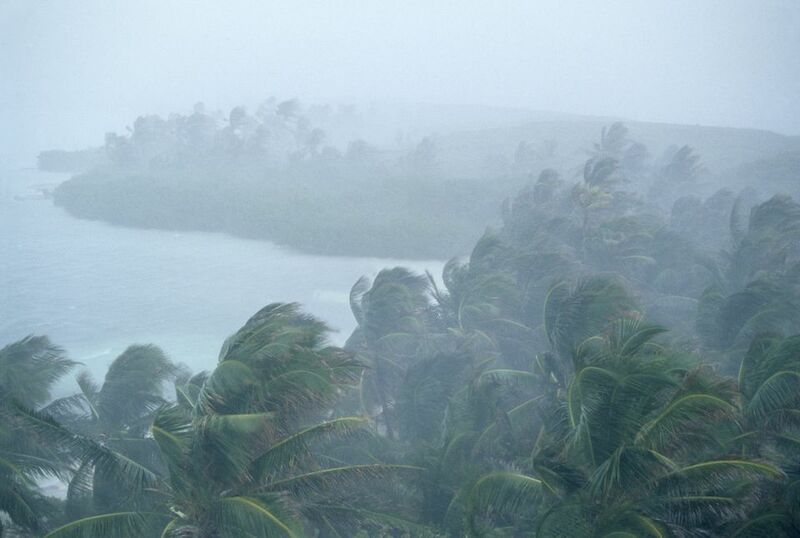 Hurricanes and tropical storms can go hand-in-hand with the rainy season, so if you're traveling during this time of year, read up on hurricane season travel as well. Rainy season is not really a concern for travelers to northern Mexico or the Baja Peninsula, as it rains so little there, but travelers to central and southern Mexico should definitely bear it in mind when planning their trip. If you're caught in a storm in Mexico, seek shelter and enjoy the spectacle! Sometimes the rain can come down quite suddenly, and you may find yourself stuck in an unexpected downpour that leaves you drenched. You'll find Mexicans crowding into shops and restaurants to get out of the wet and wait it out, and you can do the same. Witnessing one of these storms and how people deal with it is just another experience of traveling in Mexico. During rainy season landscapes that are dry and brown turn lush and green. The rain also lowers temperatures so the weather is not as unbearably hot as it may be otherwise. It generally rains in the afternoon and evening and very few days are rainy all day - you can usually plan for some sightseeing or beach fun in the morning, and if it rains in the afternoon you can look for some indoor activities to enjoy. Do plan your outdoor activities for early in the day so you can take advantage of the sun while it's out, and choose from the following activities for rainy afternoons or the extremely rare all-day rain. Visit museums or other indoor attractions. All Mexican destinations have museums or historical buildings to visit and you'll enjoy them whether the sun is shining or not. Go underground or under the water: rainy days are great for exploring caves and cenotes, where you won't even be aware of the weather conditions. Head to the spa. A pampering spa treatment is a great way to spend your time no matter the weather, but you will surely enjoy it even more if you know you're not missing out on time in the sun. Sample some tequila or mezcal. If the rain gets you down, the perfect way to lift your spirits is to lift a glass of Mexican spirits. Most destinations have special tastings so you can sample a few different kinds and learn about production methods. Take a Mexican cooking class. Learn about Mexican cuisine and the ingredients that make it special, and then enjoy some of that great food. Catch a movie. Hollywood movies are shown in English with Spanish subtitles, except for kids' movies which are dubbed in Spanish. Head to the market or mall. A little retail therapy will make you forget your rainy day blues in no time, and you'll be glad for the opportunity to compare prices on souvenirs to bring home from your trip, as well as a gift for those who had to stay back home.